One thing that America stands alone on is its creation of high horsepower sport trucks that would otherwise have no reason to exist. 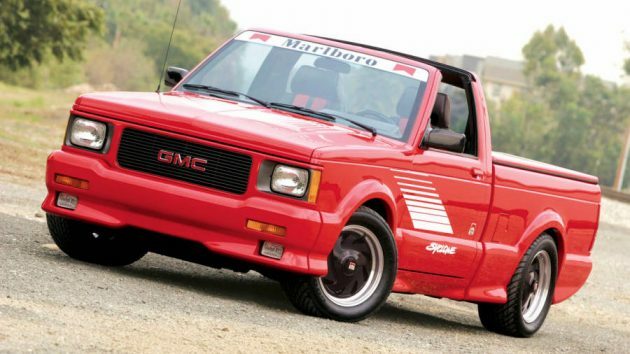 Domestic manufacturers for years have poured valuable dollars into the creation of pickups that can keep up with modern muscle cars, for no other reason than “Why not?” Among the rarest ever made is the special edition Marlboro GMC Syclone, featured here as one of several rare sport trucks for sale on The Muscle Truck Museum website. Whether an actual muscle truck museum exists at the address listed in Georgia is a bit of detective work we haven’t undertaken, but the collection is impressive – even if the museum is just some guy’s garage. 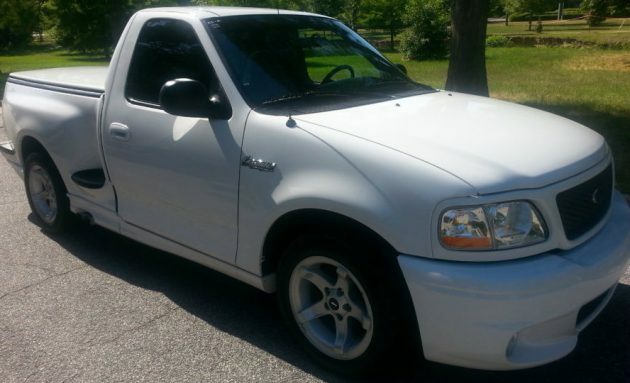 This Ford F-150 Lightning is the second generation model, and while no mileage is listed, condition appears to be excellent. 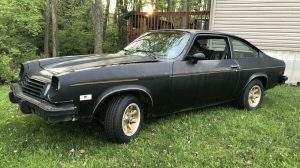 A supercharged V8 is enough to keep even the heaviest lead-foot entertained, and if you want more info, click here for the seller’s site. We’ve written about the Shelby Dodge Dakota in the past, and this may even be the same truck from an entry spotted on eBay a few months ago. This particular example wears an impressively low 25,307 miles from new, and retains its Shelby-specific side body graphics in excellent condition. Paint appears unmarked and the Shelby-specific wheels exhibit no signs of rash. Even the black plastic trim is still deep and lustrous. Find it here on the seller’s website. 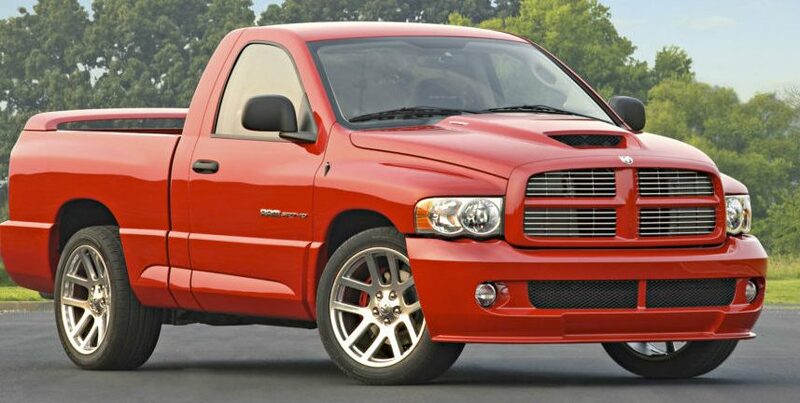 Effectively a Viper in Ram clothing, the 2010 Ram SRT-10 featured here is simply a truck that shouldn’t exist. A standing ovation is due to the honchos at Chrysler that greenlighted this monstrosity, as I can’t imagine many other manufacturers would rubber-stamp an idea that amounted to stuffing a Viper drivetrain into a single- or quad-cab pickup body. No word on the mileage, but the price for this super truck seems reasonable at $27,500. One of the first notable examples of this sport truck theme originated with the boys at Mopar, as the Lil’ Red Express featured here on the Muscle Truck website demonstrates. This example is listed for a heady $20,000, so our best guess is the truck has either been completely restored or it is a low mileage survivor example. While desirable, not many have traded at that level of pricing in recent memory. Still, with just over 2,000 produced in 1978, it’s hard to find one in any sort of condition. Finally, from the turf wars for sport trucks in the early 90s comes the contender from Chevy, the 454SS. Featured here on the Muscle Truck Museum website, these SS models pop up every now and again either in ratty project condition or as-new with no miles on the clock. 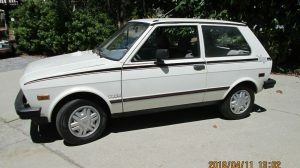 The window sticker is included and the body looks downright mint; the one photo of the odometer appears to show just over 15,000 miles. 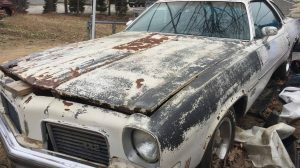 Whether this individual set out to own the ultimate collection of muscle trucks is a mystery, but with all of them listed for sale, it’s clear he or she has their sights set on other projects. Simply googling the address on the Muscle Truck Museum website shows an antique mall. $85,000 for a Syclone is ridiculous. For some reason the Marlboro Syclone doubled in value early last year but even in concourse condition aren’t worth close to the asking price. A friend of mine has a Chevy 454 SS. Uses it as a Sunday driver. Still looks like the day he bought it. 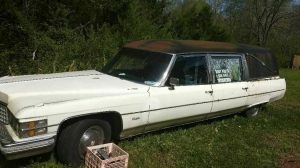 I asked him why he doesn’t sell it, and he says he’ll own it until the day he dies. Looks like the pics are all random and just pulled off the internet. oooookkaaaayyyyy, Whole thing is odd. Well, mom always said if you have nothing nice to say, say nothing at all. I am sure someone has a woodie over this. 2 cents. All done. I like the Lightening the best. A supercharged 5.4 sounds like fun. I would purchase a grille, paint it white to match the rest of the truck, (leaving the blue oval), and store the original. Also, the pipes coming through the ground effects look really cool. I bet they sound great. From this group, I think the only truck that could ‘take’ the Ford would be the Dodge. I recall reading a review from Car & Driver on this truck. It was just plain silly with all that power. Thanks for taking the time to put this together. Really nice feature. Google image searched the Marlboro and the viper ram, needless to say a few different links showed up.